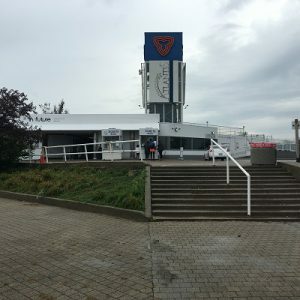 1) Entrance is through the main Ontario Place box office (Lake Shore and Remembrance Drive). Check in with the Beer Run crew. Once in Ontario Place, follow our directional signage to Heritage Square. 2) Access to Ontario Place and the post-run party is restricted to registered runners and festival goers only. Festival goer passes for friends and family can be purchased online for $25 until 3 p.m. Saturday, or on-site on event day. Register now! 3) You will need to show ID or your registration confirmation email to access Ontario Place (unless you are purchasing your registration on-site). 4) Bring cash. There are no ATMS on site. You will need cash for food vendors, on-site registration, extra beer tickets and other purchases. 5) There is a bag check where you can stow your belongings during the run and/or festival. 6) Dogs are not permitted. Got more questions? Find all race day info here. 2016 Costume Contest Winner Announced!